My little boy is learning how to be brave. He wants to let go and take steps away from what is safe, but he gets scared. He wants to venture off and play next to the slightly bigger kids, but he gets timid. He watches and learns and waits until he’s figured out the outcomes. And then, maybe, he will make a move. Or maybe he will sit back down and decide that the play steps are a little too tall or he feels a bit unsteady on his feet. So yesterday, I was happy when he came out from behind my legs at the Booksellers at Laurelwood. When he reached far for the table and walked over to a little girl. When he cruised from me to the big girl who was sitting on my right. He put his hand on her knee and looked startled that it wasn’t me. Then he smiled. Because he was brave. 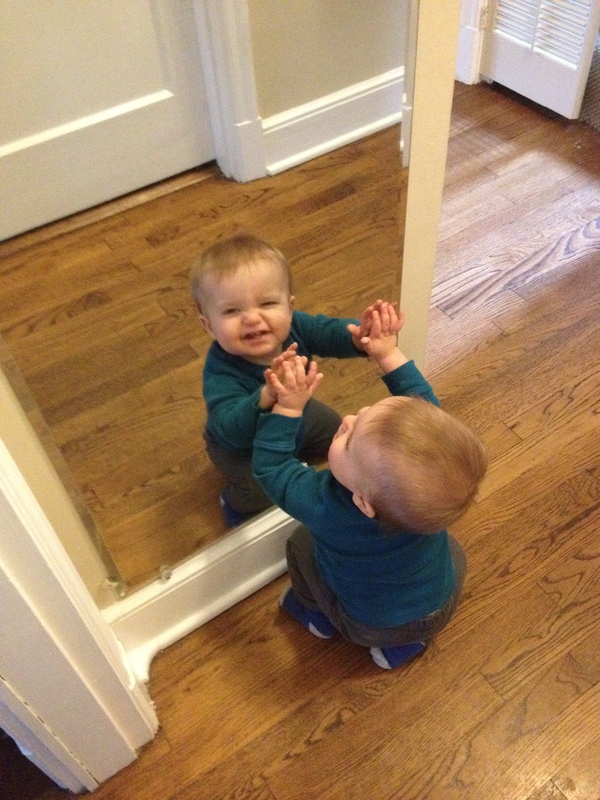 The baby in the mirror is always brave.